She won the hearts of many with her voice when she participated in the 2011 Make it Count (MIC) show. Yesterday, 27-year-old Laisa Ledua Bulatale became a fully-fledged lawyer when she was admitted to the bar before Chief Justice Anthony Gates. A passionate musician, Ms Bulatale, spent two years after high school pursuing a career in music at the Fiji National University (FNU). However, when that did not eventuate she turned to Plan B – law. At the time, FNU did not have a degree programme for music so two years down the line her parents said, “Well I think you need to switch to something more academic,” and so she chose law. “I took part in the MIC show and I did a lot of gigs, singing in hotels and even Down Under nightclub,” Ms Bulatale said. She acknowledged her parents’ unwavering support in her studies as they singlehandedly paid for her law degree with income her dad earned as an accountant with the Republic of Fiji Military Forces (RFMF) and mum’s teaching job in the Marshall Islands. “My parents were very supportive and I was a private student all throughout but for my six months Professional Diploma in Legal Practice (PDLP) course I was sponsored by Tertiary Education and Loans Scheme (TELS),” she said. 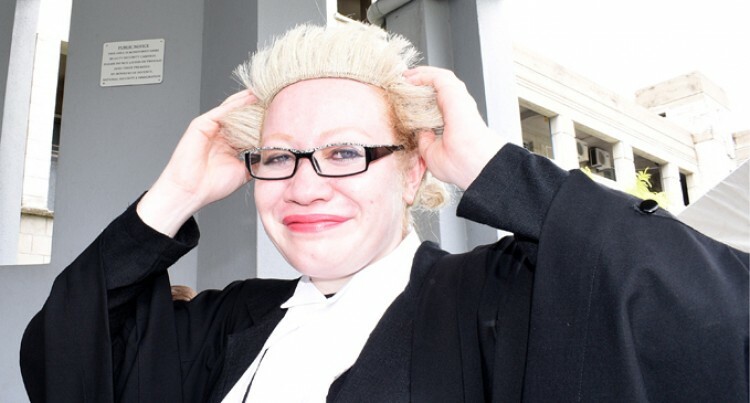 A significant barrier she faced while studying was her poor eyesight developed as a result of her condition as a person living with albinism. When asked if socialising with peers was an issue for her while studying, she revealed that she had always been in the mainstream education system from a young age which made it easier for her to adapt. Ms Bulatale, who has an interest in advocating for human rights, gender, disability and governance, encouraged people to always have a backup plan and not to let disabilities get in the way of their dreams.